Cattle rustlers made off with about 50 head of cattle Wednesday evening in east Aurora. AURORA, Colo. -- Cattle rustlers made off with about 50 head of cattle Wednesday evening in east Aurora. Witnesses told rancher Ray Wooters, who owns Wooters Heart Ranch, that they saw two people on horses moving the cattle first near East Jewell Avenue at South Powhaton Road about 9 p.m.
Wooters says he was able to follow tracks the next day as well as Friday morning and could tell the cattle then were turned west and taken under E-470. At the time, witnesses did not know the cattle were stolen. Wooters thinks there had to be trucks and trailers waiting. Most of the cattle were pregnant and were expected to deliver calves in the spring. The stolen cattle were insured, but Wooters said he wasn’t sure how much of the loss his insurance would cover. Cows can average about $1,250 each. Cows expected to produce calves are worth more. The Colorado Department of Agriculture says about 600 cattle are reported missing each year in Colorado. 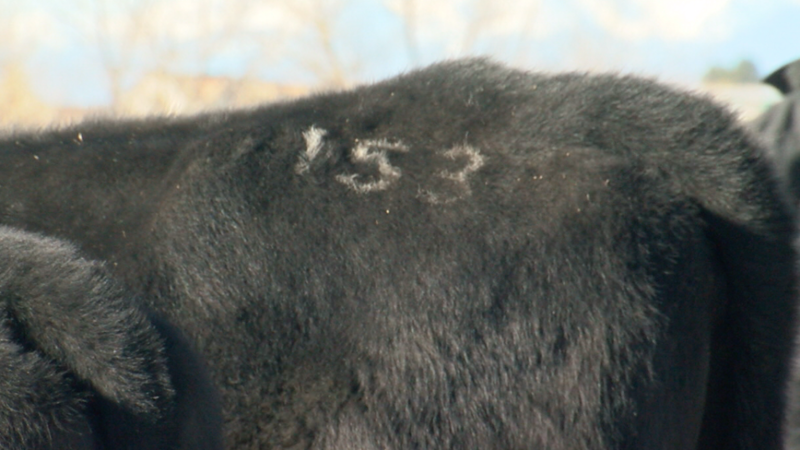 Sales yards require ownership paperwork for branded cattle to be sold in Colorado. All of Wooters cattle have a brand of a heart and a W on them. They also have a unique number on their sides. Wooters thinks the thieves will have a hard time selling the cattle unless they move them to another state such as Kansas which doesn't have branding requirements, Wooters said. Aurora police are investigating the crime and confirmed a police report was filed.